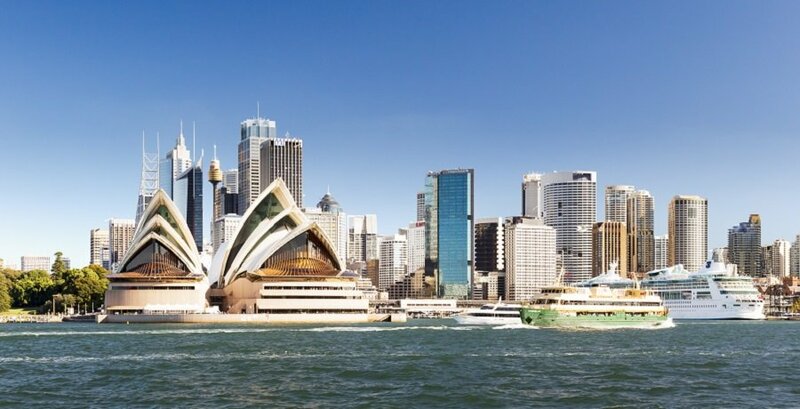 With its huge variety of attractions, historic sights, lavish shopping arcades and fine dining, Sydney is a must see destination for travellers from all ends of the world. 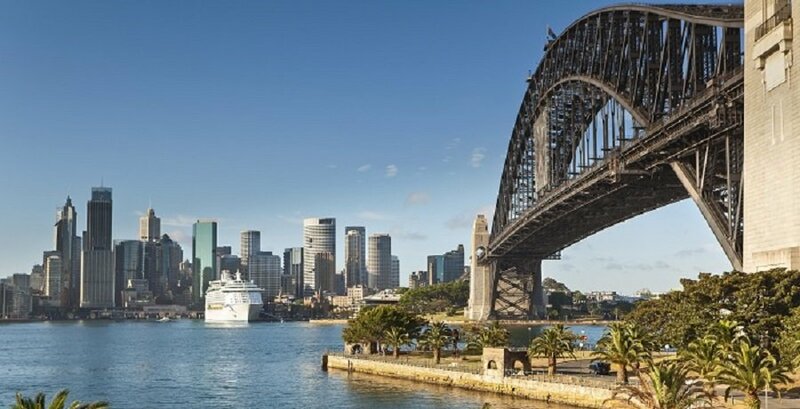 Our Sydney Sightseeing Tour with Sydney Harbour Cruise provides all the major iconic Sydney sights you can’t wait to see as well as much, much more. The tour commences travelling through Darling Harbour and passing the Sydney Entertainment Centre, Sydney Aquarium and Sydney Opera House. Next, is our private walking tour of The Rocks – Sydney’s birthplace, where we will hear stories of its colourful and historic past. 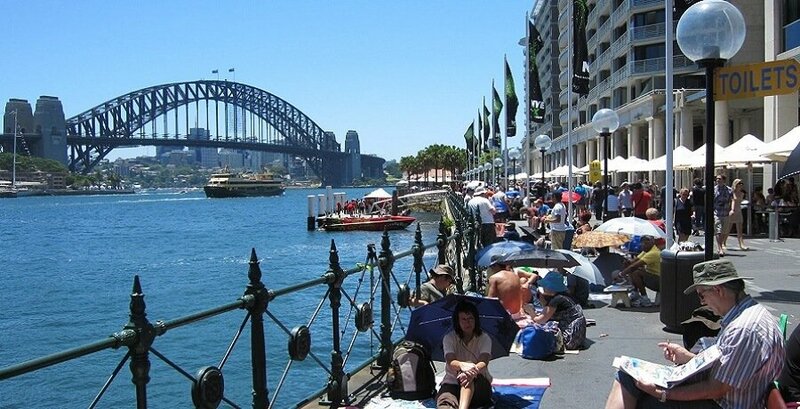 Visit Chinatown, see the Sydney Monorail, Parliament House, Hyde Park, St James Cathedral and St Marys Cathedral before heading on to the Art Gallery and Domain. 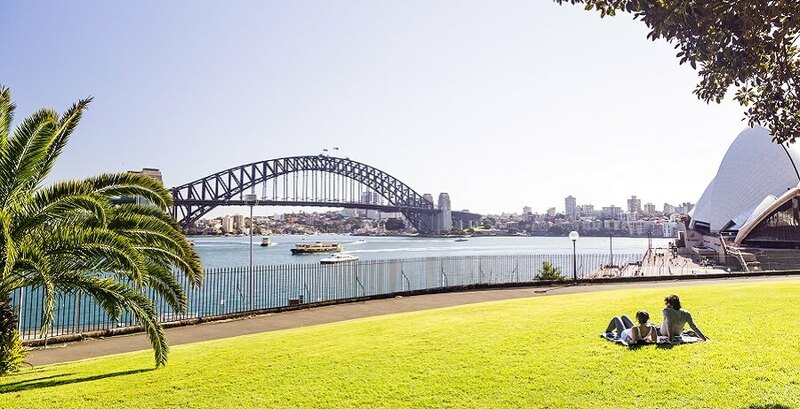 Arrive at Mrs Macquarie’s Chair for a photo stop and witness superb views of the city skyline, the Opera House, Bridge and Harbour. Sample the atmosphere as we drive through Kings Cross with its buskers, coffee shops and clubs. See the Royal Australian Naval Base at Garden Island, before passing through the exclusive suburbs of Double Bay and Vaucluse. See the stunning views of the Pacific Ocean and the Heads at The Gap for a fantastic photo opportunity. 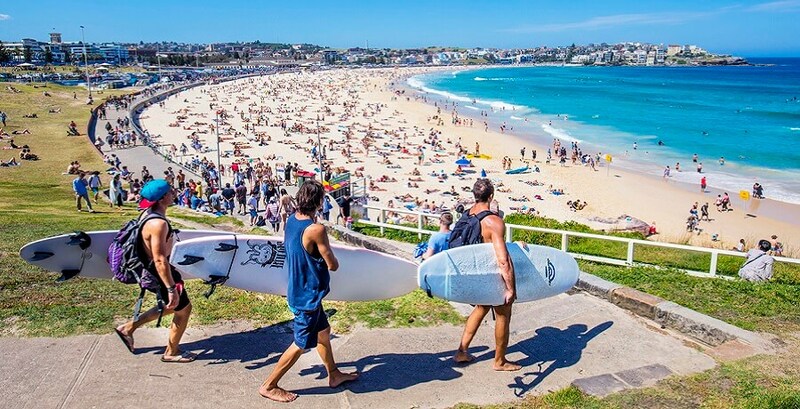 We take a break at Bondi Beach and you’ll have a chance to stroll along the beach and enjoy the sun, surf and sand… not to mention the beach babes. 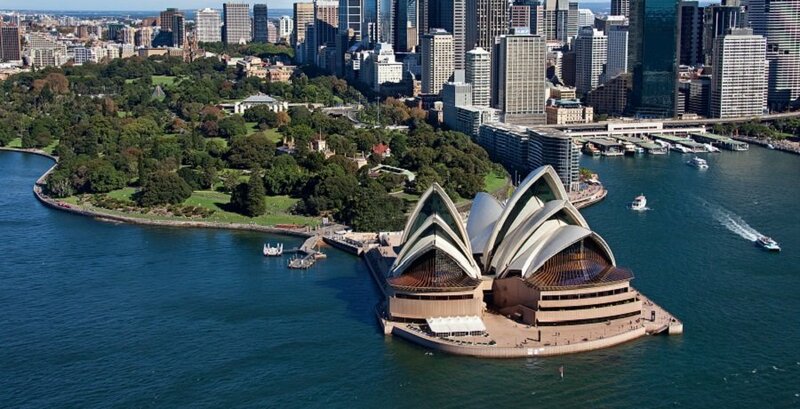 The Sydney Sightseeing Tour with Sydney Harbour Cruise also visits the Sydney Tower, Sydney Town Hall and the historic and trendy suburb of Paddington. 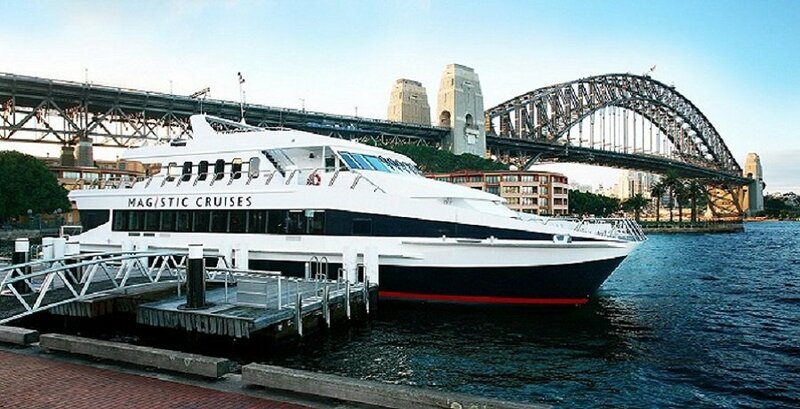 The tour concludes with a spectacular Sydney Harbour Cruise departing from Circular Quay, aboard the steamlined Magistic Cruises where you will enjoy a delicious buffet luncheon. It also passes through the amazing Sydney Harbour Bridge. 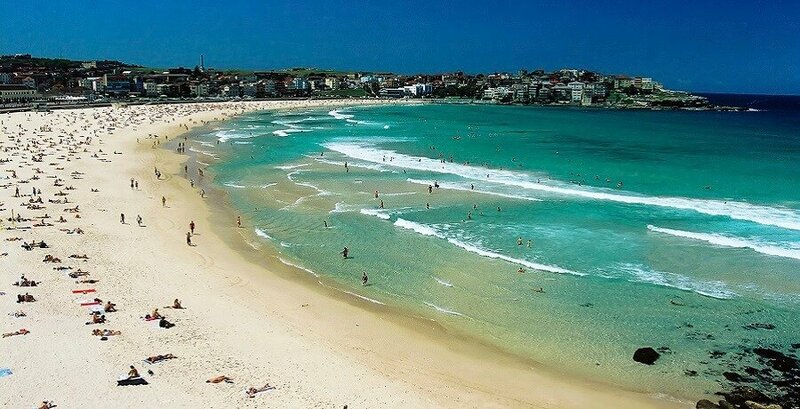 As Sydney Sightseeing Tours go, this tour is great value for money and suits travellers of all ages and nationalities. 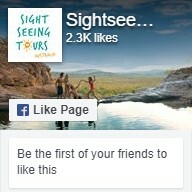 Why not check out our other Sydney Tours?